What are the Survival Tactics During Natural Disasters or Emergencies? A natural disaster or emergency could occur at any moment and being prepared for an event is often an essential part of being able to survive said emergency. The most challenging part of an emergency is the uncertainty surrounding it; you never know when or in what form that the event could occur in and you can never fully prepared for when it occurs. As an example, you can have a full slate of survival tools in your home, only to ﬁnd your home ﬂooded and your survival tools inaccessible when you need them the most. You can never fully prepare for a disaster. Some basic knowledge surrounding survival techniques as well as the storage of some basic survival tools can go a long way to helping you to survive an emergency or natural disaster. 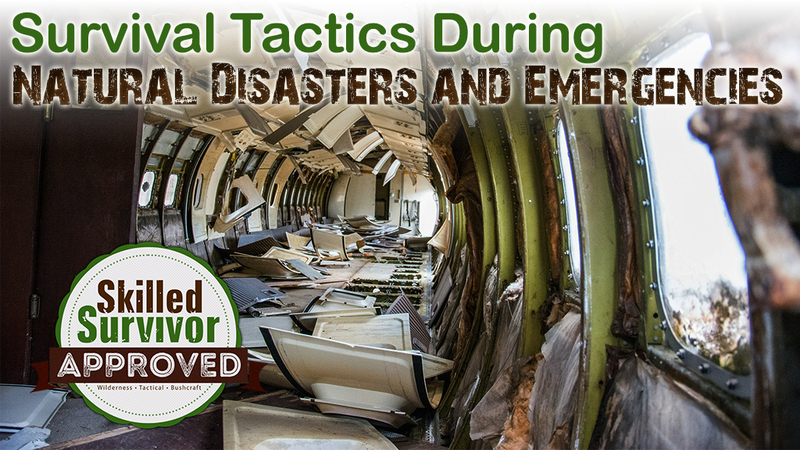 Following these tactics be the difference between life or death, or could allow you to not only survive, but also thrive during the emergency. It is important to not only understand and know the community and environment that you currently live in, but also understand what you should look for in assessing an environment that you are placed in when an emergency hits. Start by understanding your home area, as it is the most likely area that you will be in when a disaster strikes. If you are in an area with extremely cold temperatures you will need to prepare differently than if you are in a more temperate area, so knowing your local environment is essential. Make a list of the resources that you have in your local area and that are exploitable by you for your survival. Keep in mind that there are likely many different people who are looking for the same basic necessities that you are and understand the needs that you will have during this time. Most natural disasters and emergencies are short in duration, encompassing no more than a few days in total, but be prepared for a longer term situation if need be. Having a plan as to what resources you are going to need and how you can obtain them quickly is the key in any emergency. The needs that any person will have during an emergency are relatively obvious. A person will need water, shelter, and food, likely in that order, although some colder areas may require shelter ﬁrst. Having sources of these substances on hand can be a life saver. 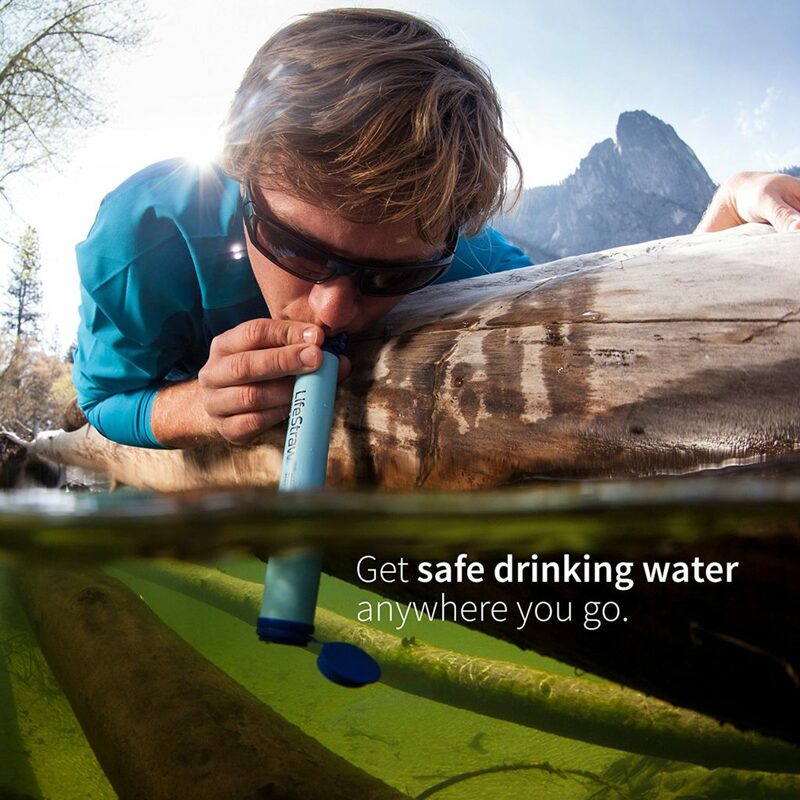 A small storage of water is important to have on hand in the form of bottled water, but also water puriﬁcation tabs, a pot to boil water in with a fuel source, or a life straw or ﬁltration unit. Have a primary form of water puriﬁcation on hand in your home and a backup in your car or vehicle that you always have with you. For food you should have some ready to go non-perishable items on hand. Freeze dried food can last many years without deterioration and can be safely stored in an easy to carry package. Have some available as an emergency storage supply at all times. Some other dried foods can also be a useful addition to any meal and having a small reserve of food in your vehicle is a good idea as well. extensive form of protection from the elements. A tip would be applying your local environment and having something on hand to create shelter if you are away from your home. If you are in a prolonged conﬂict or emergency, you may need to create your own food and water. Having knowledge of how to do so is important. Learn some basic tricks for generating water in your local environment. An example may be digging for water if you have a high water table, or learning how to use the sun and a clear plastic bag to generate water from foliage using the power of evaporation. For food, it is a good idea to know how to make non-perishable food items from basic substances. If you are in a prolonged conﬂict you may want to learn how to food items like hardtack from ﬂour and water which can last many years without rotting. Develop some basic food items that you can quickly make and store in your car and home for years, along with the ingredients to create these items. For shelter, learn how to make a lean-to or A-Frame tent to live in. While these won’t be permanent solution to live in, it can be a useful solution for an emergency. Surviving a natural disaster or emergency can be a real challenge but by knowing your local environment and having an idea of the needs to survive there you can increase your odds. Also have some basic supplies on hand to help you survive and know the steps to creating sustainable items to sustain you during the emergency, even if it becomes a protracted event or emergency.